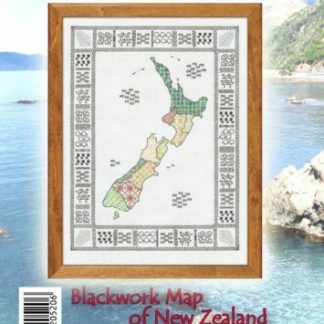 A Blackwork pattern of New Zealand by Lyn Mannings with a good clear chart & instructions. 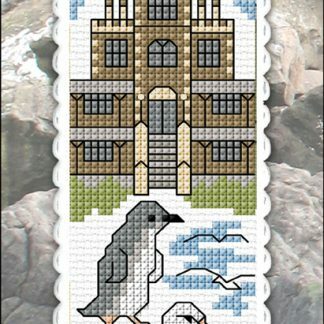 The kit includes the pattern, 14 count antique white Aida fabric, DMC stranded cotton, DMC Colour Variations, DMC Light Effects, a needle, and bobbins to sort the cottons. 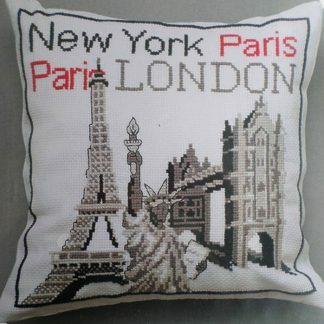 If stitched on 14 count Aida the finished size would be 31 x 40 cm. Skill Level: Beginner – Intermediate. 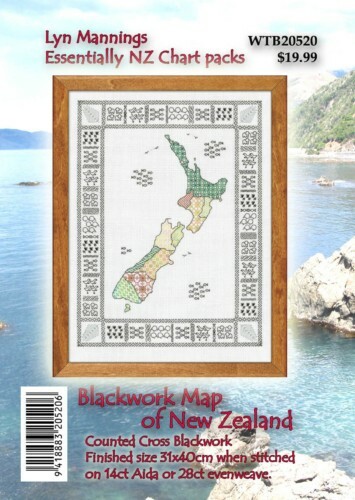 The stitching is relatively simple but some experience at reading charts would be an advantage. 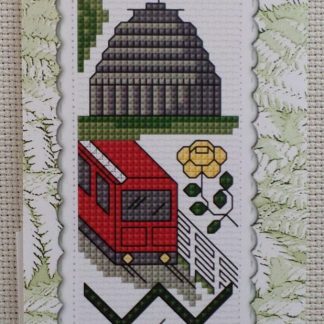 Note, this kit has the thread for the various colours as in the picture but if you prefer to do it all in Black or a single cotton colour the kit would cost $57.00. 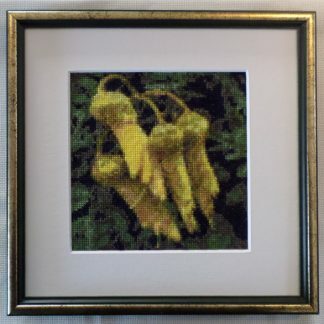 If you use the Contact Us page and let us know what you would like, we will list it for you and send you the link to the page.